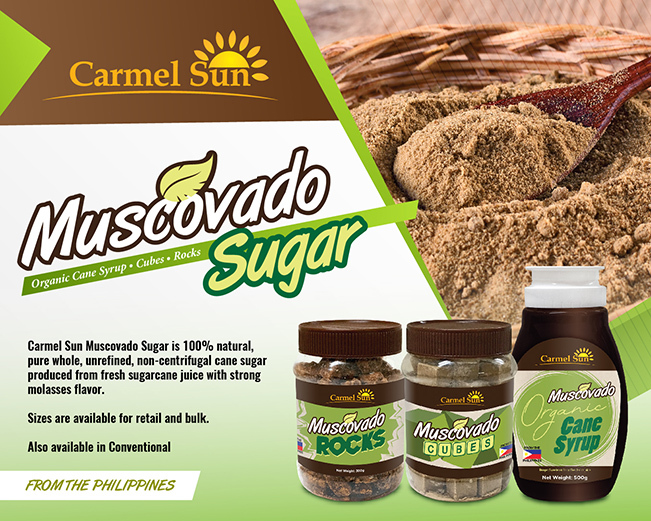 Our Carmel Sun Muscovado Sugar is 100% pure whole, unrefined, non-centrifugal cane sugar produced from fresh sugarcane juice with strong molasses flavor. We also offer muscovado rocks, cubes and syrup. Sizes are available for retail and bulk.